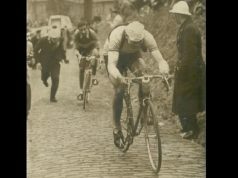 Anybody who has spectated at a Belgian classic might recognise this man, but might not have known that his name is Frans Geldof. 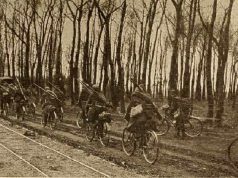 Geldof can often be seen riding on the course of Belgian races long before the pros come through. 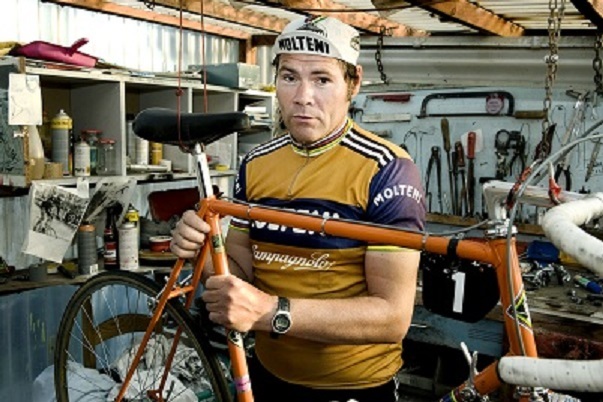 He dresses as Eddy Merckx, wearing replica Molteni or Faema gear, riding a retro bike. Spectators can get a little bit excited when they see him with shouts of ‘Hup Eddy’ as he grinds up a climb. 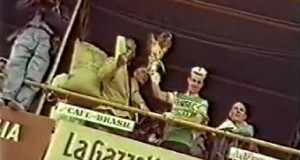 However, it seems that not only does Frans dress as Eddy Merckx, he also seems to think he is Eddy Merckx. 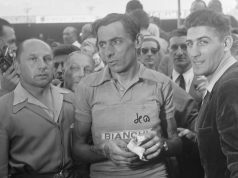 The video below is from a programme on Belgian TV where Frans explains how he has become Eddy Merckx after a strange dream, whilst his wife seems to disagree. Frans is convinced he looks the same as Eddy (he doesn’t really) and sounds the same as him. It’s in Flemish, but you can get the gist.